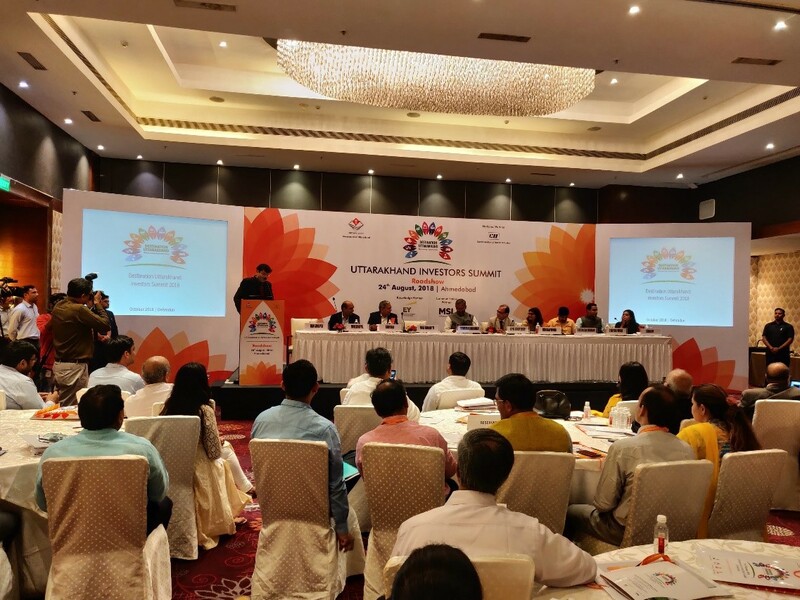 Government of Uttarakhand organized a roadshow at The Crowne Plaza, Ahmedabad in the build up to the ‘Destination Uttarakhand: Investors Summit 2018’ scheduled from October 7-8, 2018. The state’s first ever investor summit will be organized at Dehradun and will be inaugurated by Prime Minister of India, Shri Narendra Modi. Trivendra Singh Rawat, Chief Minister of Uttarakhand addressed the roadshow. Some of the senior Government of Uttarakhand officials that also addressed the gathering at Ahmedabad included Mr. Utpal Kumar Singh, Chief Secretary, Ms. Manisha Panwar, Principal Secretary, Industries, Mr. D Senthil Pandian, Secretary, Food Processing, Dr. R MeenakshiSundaram, Secretary, Animal Husbandry and Cooperative, Ms. Sowjanya, Director General/ Commissioner Industries, Mr. KS Panwar, Industrial Advisor to Chief Minister and Dr. Narendra Sigh Tomar, Technical Advisor to Chief Minister. In addition to the Government of Uttarakhand officials, various corporate giants that graced the occasion include Mr R S Sodhi, Managing Director, Amul India; Mr. Gautam Adani, Chairman, Adani Group; Mr. Jaimin Shah, Chairman, NASSCOM Domestic Market Council; Mr. Ankit Vyas, CEO, Oizom Instruments Pvt Ltd; Mr. Piruz Khambatta, Chairman, Rasna Pvt Ltd; Mr. Kailash Bahuhguna, CEO, Zydus Infrastructure; Mr. Shanay Shah, Director, Shalby Ltd; Mr. Joachim Rocha, Trade Commissioner, The Canadian Trade Commissioner Service; Mr Sandeep Agarwal, Head & Director, Gujarat Ambuja Exports Ltd; Mr. Rajendra Shah, MD, Harsha Engineers Ltd; Mr Parag Desai, Executive Director, Gujarat Tea Processors & Packers Ltd and Mr. Aditya Panda, Senior Manager, Coca Cola India Pvt Ltd among others. The key objective of the roadshowwas to share the investment opportunities in Uttarakhand and to seek active participation for ‘Destination Uttarakhand-Investors Summit 2018’. The roadshow received encouraging response and generated huge interest among the Gujarati business community. The delegation from Uttarakhand Government, highlighted the 12 focus sectors of the state, which include Food Processing, Horticulture& Floriculture, Herbal & Aromatic, Tourism & Hospitality, Wellness & AYUSH, Pharmaceuticals, Automobiles, Natural Fibers, IT, Renewable Energy, Biotechnology andFilm Shooting. 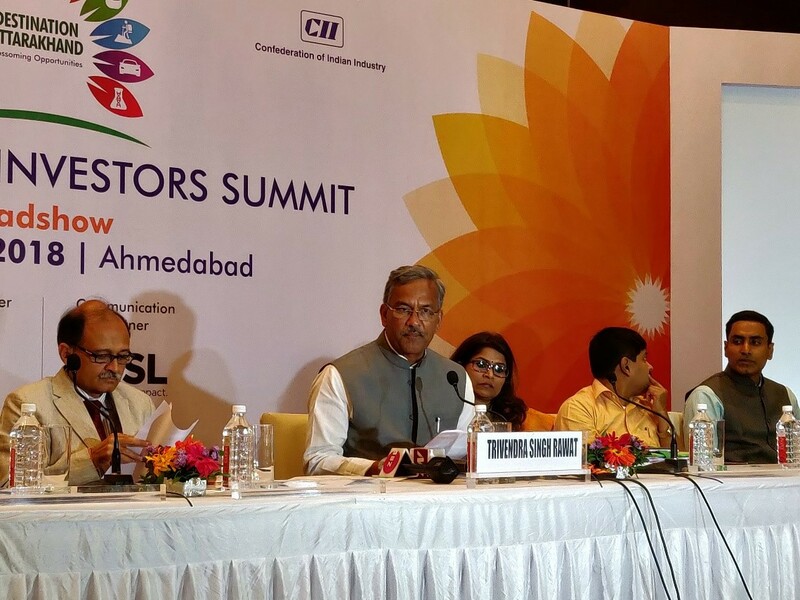 Speaking at the Roadshow, Trivendra Singh Rawat, Chief Minister of Uttarakhand said, “We are excited to have the Gujarati business community on board for ‘Destination Uttarakhand Summit 2018’. The young state has a plethora of investment opportunities for the Gujarati business community particularly in the sectors of Food Processing, automobiles, textiles & manufacturing. Chief Minister Trivendra Singh Rawat has said that after pharma success story in the State, there will be newer avenues for investments in the areas of auto, tourism and food processing among others. Uttarakhand has 324 pharma units. According to Uttarakhand chief minister, Trivendra Singh Rawat, the roadshow received a good response from Gujarat. He said "We have received good response from Gujarat state. Investors have shown their keen interest in starting their business in our state in various sectors, such as food processing, aromatics, dairy, e-vehicles and solar energy so far, and they might also announce their investment during the event to be held in Dehradun.”CM didn’t disclose the names of the companies. He added that this upcoming mega event in Dehradun is the first investor summit since the state came into existence 18 years back. After the manufacturing sector, which played a key role in taking Uttarakhand’s Gross State Domestic Product (GSDP) growth to 11 per cent, the State is now looking at developing other potential sectors such as food processing and tourism. Also, several new sector-specific policies are being planned in the next one year. Rawat mentioned that current dedicated policies for mega industries and single-window clearance have put the State at the top in ease of doing business rankings. “We are planning several new sector specific policies in the next one year to make it attractive for the investors,” said Rawat. The State is blessed with diverse agro climatic conditions from sub-tropical to temperate to alpine, where farming is mostly carried out organically. The State offers a number of Government policies, schemes and incentives to support food processing environment in Uttarakhand. It also has robust infrastructure including 2 mega food parks, 4 industrial Clusters and 60 Farmer Producer Organisations (including NABARD promoted FPOs). The various investment opportunities highlighted included establishing units for Individually Quick Frozen (IQF) Fruits and Vegetables at Udham Singh Nagar & Haridwar and specialised snacks and baby food manufacturing units from Nutri cereals among others. In order to attract investment into the various sectors of the state and thus contribute to the development of the economy as a whole, the Government of Uttarakhand has taken several policy initiatives. In addition to the State MSME Policy 2015 and Mega Industrial & Investment Policy 2015, dedicated sector policies have been drafted to boost the industrial climate and act as a facilitator of business.The online Single Window Clearance System facilitates speedy clearancesas well as provides relevant information. 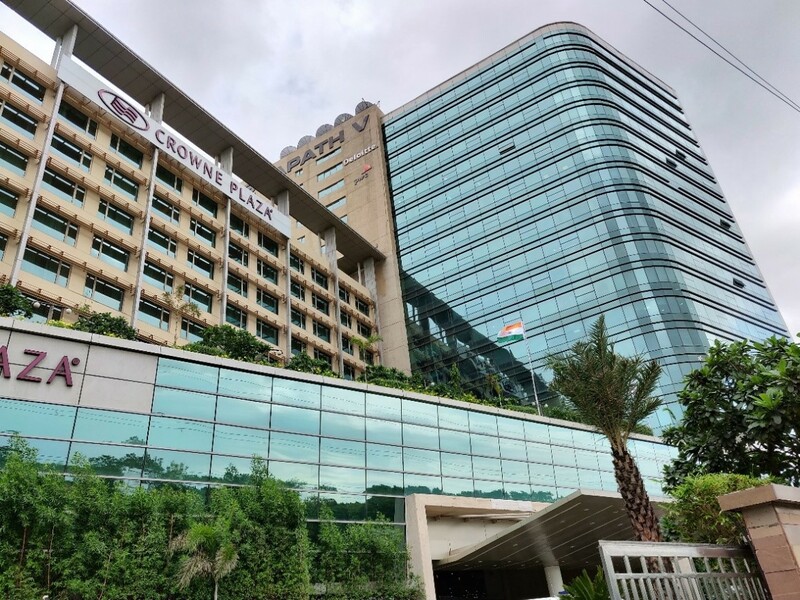 Uttarakhand offers a geographical advantage to budding entrepreneurs of Gujarat.The state`s industry can cater to the important consumer market of the National Capital region due to its physical proximity and seamless connectivity. Important industrial areas of the state lie in the influence region of Amritsar Kolkata industrial corridor which will open up new opportunities.It also has a well-established industrial base of long-standing and reputed business houses, with a large number of ancillary units in Udham Singh Nagar, Haridwar, etc. Major players have set up their units in Uttarakhand due to congenial business environment with their state-of-the-art operating practices being fed into the local production environment. 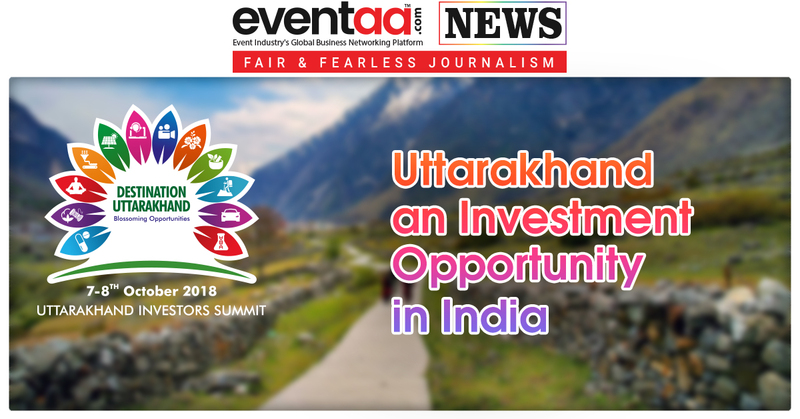 The Government of Uttarakhand is organizing ‘Uttarakhand Investors Summit 2018’ on October 7-8 2018 in coordination with all departments related to the 12 focus sectors identified by the state. The Investment Promotion and Facilitation Centre in the Directorate of Industries is working as the secretariat for the event. It will be a mega event, gathering investors, manufacturers, producers, policymakers, and organizations from the global business ecosystem. The summit would principally focus on 12 focus sectors, which include Food Processing, Horticulture & Floriculture, Herbal & Aromatic, Tourism & Hospitality, Wellness & AYUSH, Pharmaceuticals, Automobiles, Natural Fibres, IT, Renewable Energy, Biotechnology and Film Shooting, for expediting industrial development in the state. It will provide opportunities for investment and trade in these sectors for both domestic and international investors.